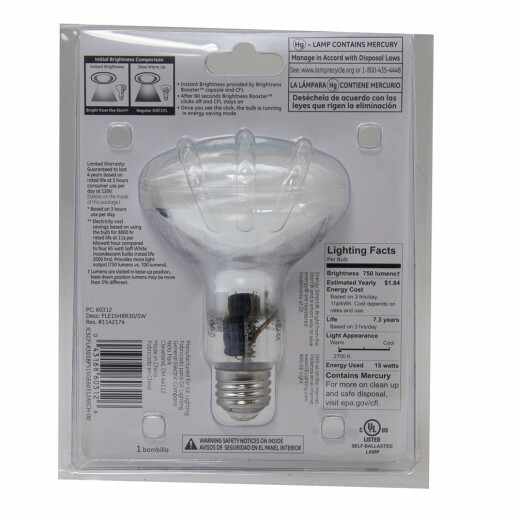 GE Indoor Floodlight Soft White 15 Watt Save money on energy and experience Instant brightness the instant you flip the switch. Unlike other CFLs, GE energy smart® Bright from the Start® CFLs feature a Brightness Booster™ that provides light instantly. Once GE energy smart® CFL warms to its full brightness, the Brightness Booster™ turns off. 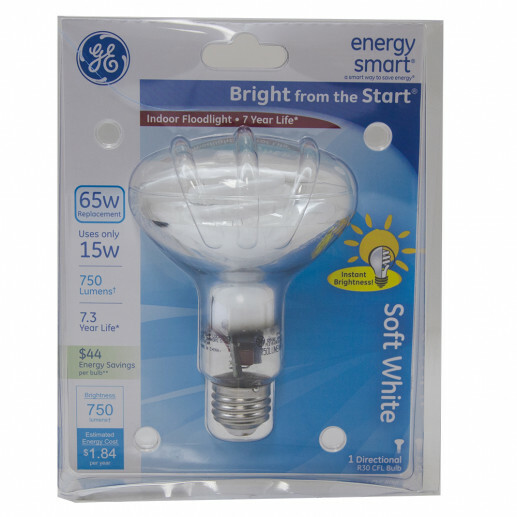 After full warm up the GE energy smart® Bright from the Start® CFL performs as efficiently as a regular CFL. The floodlight's reflective qualities & shape help direct light where it is needed better than a standard CFL or incandescent bulb. Use GE energy smart® indoor floodlights in track and recessed fixtures to create broad beams of light in any room or space. 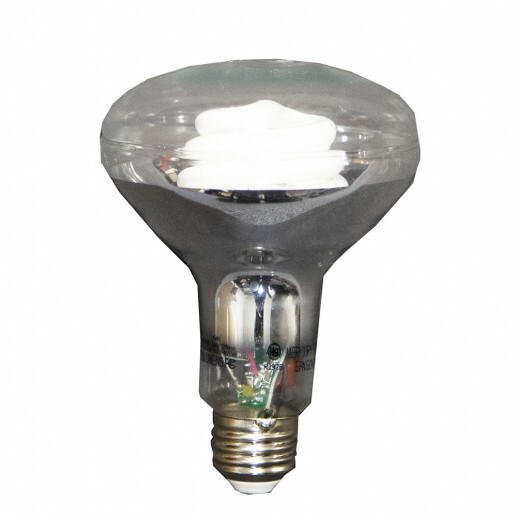 Lasts 7.3 years and Saves $44 in energy.Provides Instant brightness with no delay. Produced 750-lumens light output for comfortable.